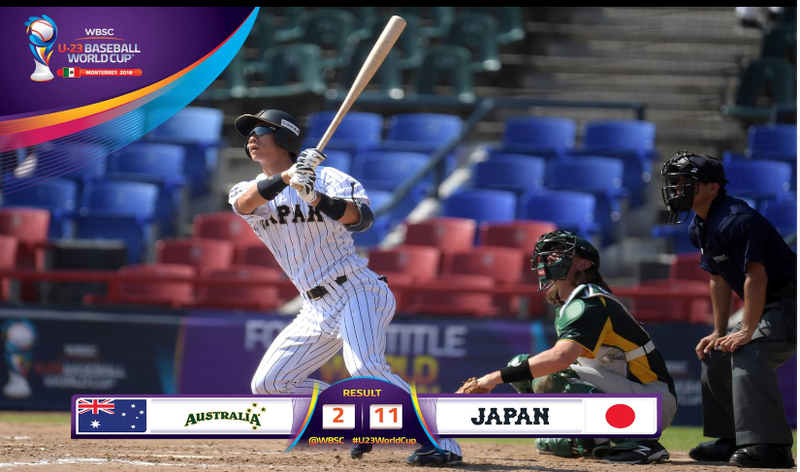 Japan, ranked number one in the world, defeated Australia 11-2 to earn top spot in group B. Four runs in the first five innings put the Japanese team narrowly ahead before seven in the next two guaranteed the Asian side victory. Mexico claimed the sixth and final place in the super round of the World Baseball Softball Confederation (WBSC) Under-23 Baseball World Cup with an easy 15-0 win over South Africa on the final day of opening round matches in Monterrey. Mexico now join Japan, South Korea, Australia, Panama and Nicaragua in the super round after the field was cut from 12 to six teams.